An analyst at the Rockefeller College of Public Affairs & Policy of SUNY Albany posits that Malaysian Airlines Flight 370 is being held for ransom by a group of individuals, maybe including people from the flight crew. Rick Mathews, the Director of the National Center for Security & Preparedness, explained, “You want to most likely hide the plane so that it will not be seen and get these people away from there. You want a place to prove life, confirm the fact that they are alive without giving away their location.” Mathews told CBSDC he feels strongly that this is an “internal hijacking” and may well have been perpetrated by one of the members of the flight crew. “It takes a great deal of coordination to hide a plane,” he said. Matthews rejects the notion that terrorism was the cause for the plane’s disappearance, arguing the culprits would have identified themselves by now. Laura Miller, a licensed clinical social worker, suggested that the uncertainty of the whereabouts of the Boeing 777 carrying 239 passengers is quite troubling and will produce anxiety for many regarding their decisions to fly in the near future. “I think this particular frightening incident may be especially anxiety-producing for some because it seems at present so arbitrary: it could have been those passengers, but it also could have been others. It could be me and it could be you,” Miller said. 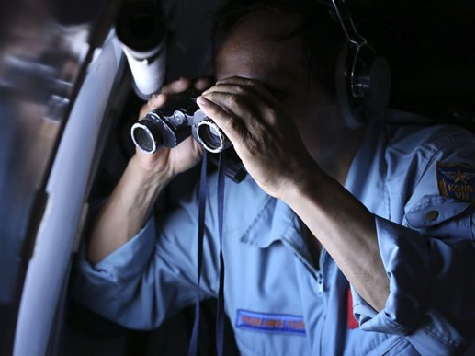 Some experts say that the vanishing of flight 370 may lead airlines and governments to radically upgrade the way they monitor planes, including handoff procedures between countries.